Фотобанк Rusmediabank – лицензионные Фото, Видео, Музыка - Couple standing in room. XL 3366 x 5046px 15 Mb. 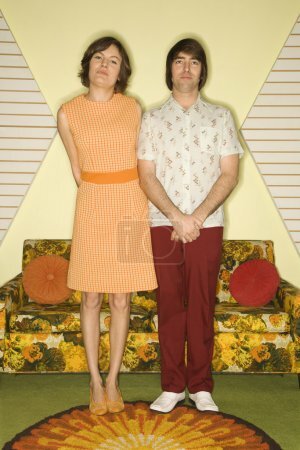 Caucasian mid-adult couple wearing retro clothes standing in room decorated with vintage furniture.